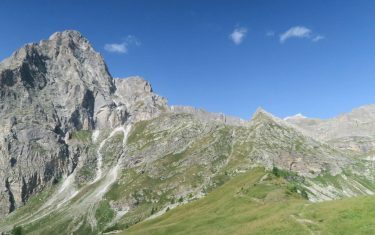 The name Piedmont roughly derives from ‘at the foot of the mountains’, which goes some way to describing the dramatic topography of what you’ll see all around you via the Val Maira route. 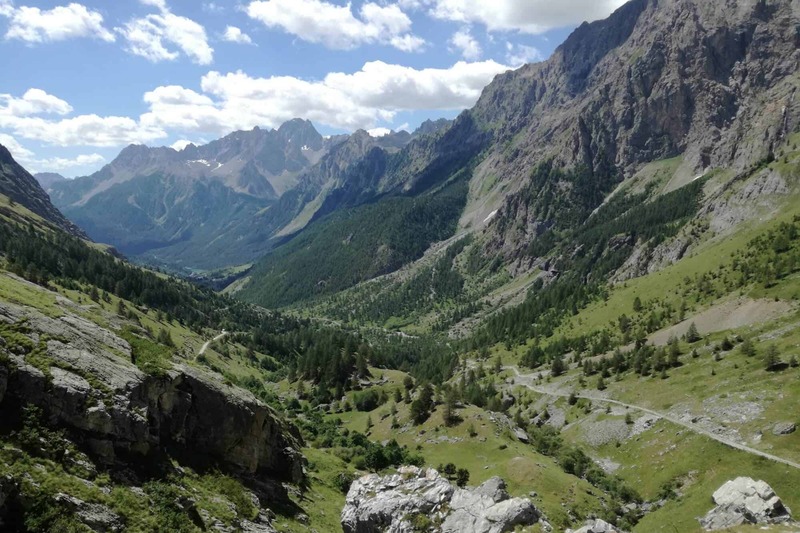 Situated on the French borderland, before you are some of the wildest landscapes to be found among the Western Alps, with rugged peaks and valleys that shelter the traditional villages and communities found along the mountain stretch of the Maira River. 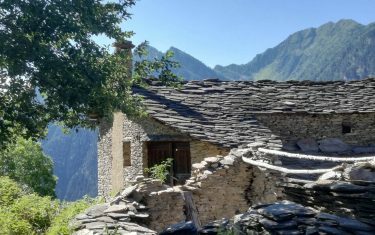 This route takes among some of the more secluded, and peaceful of the stunning valleys, lakes and hills of Piedmont, visiting charming, traditional villages – seemingly frozen in time. The sheer variety of landscape you’ll see before you are part of what makes Piedmont such a natural gourmet destination. This is the birthplace of the famous Italian ‘Slow Food’ movement, and the relationship between the people, the land and the way they celebrate the famous wines, cheeses and truffles of the region is testimony to that ethos. 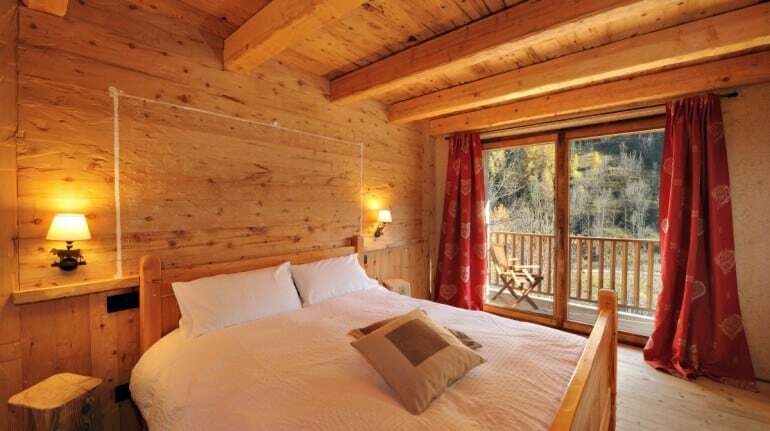 Experience unforgettable scenery each day out among the fresh Alpine air, returning each night to the beautifully preserved villages and the relaxed, welcoming culture of the Italian Alps via the Val Maira. 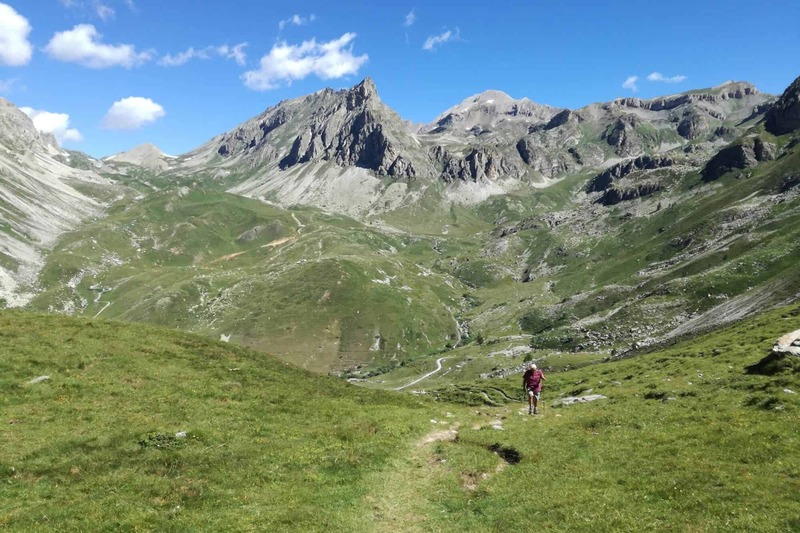 This is a route that links stunningly beautiful historic villages with scenic routes that offer incredible views over the peaks and valleys that give Piedmont their distinctive Alpine character. The Val Maira crosses paths with cavernous lakes, vibrant wildflowers and the architecture and old frescoes that are found among the traditional Italian villages you visit. 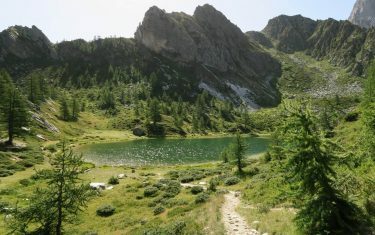 Here you’ll find well-marked paths, some of which are sections of larger, cross-country paths, taking you through an area that is alive with wildflowers in the springtime, and temperate in the summer months, where the mild mountain air promises a more conducive environment for summer walking than other areas in southern Europe. Walkers can expect clearly defined paths that are regularly maintained, leading over meadows, pine woodland and old mule tracks. This is a landscape that has remained largely unchanged over the ages, with arch stone bridges that have stood for centuries, old military roads and farming tracks forming the basis of the expansive route network that covers the valley. 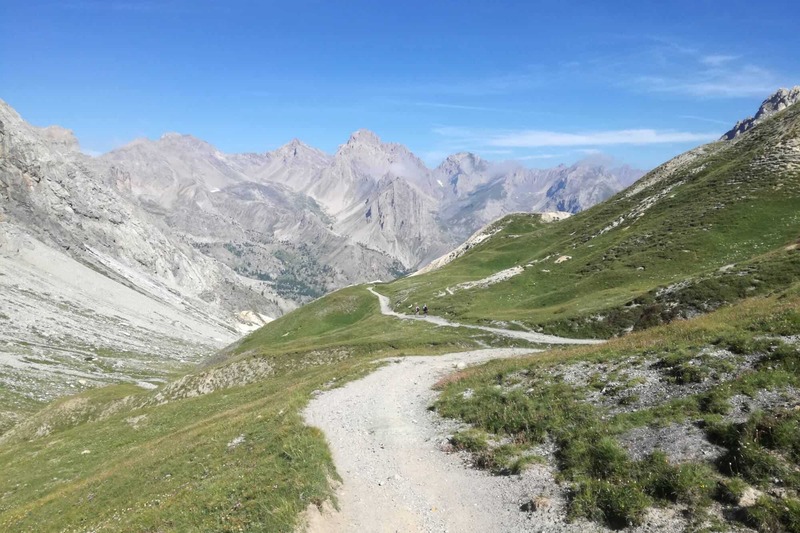 Some sections can prove quite taxing, with occasional steep inclines as the route climbs around the valley – however, there are some particularly stunning views on these more high-level sections walking along the steep limestone cliffs. 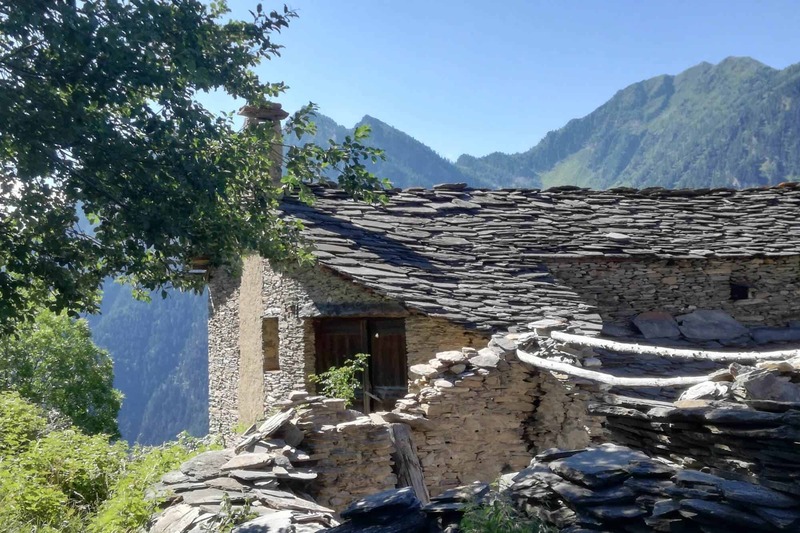 One of the more secluded, remote area of Northern Italy, you can expect your lodgings for the journey to be typical of the houses and architecture of the valley. 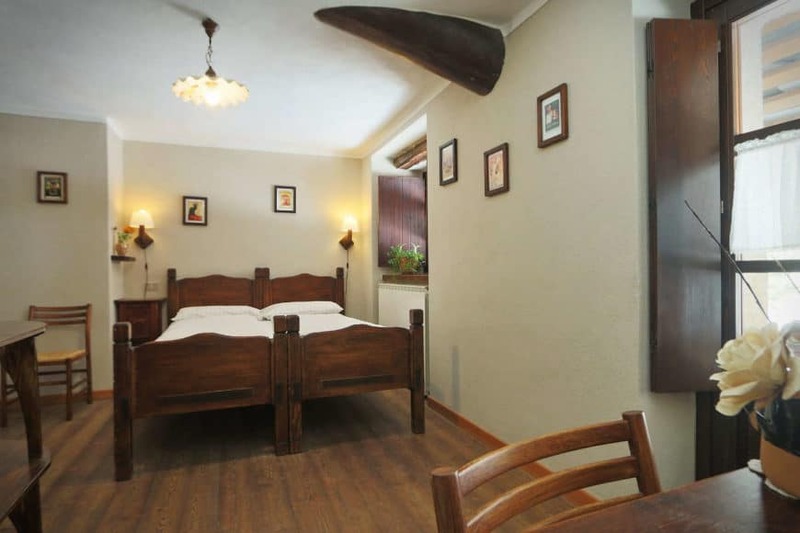 These are renovated farmhouses; colourful, cosy places situated among the quiet villages you visit, with spacious rooms and en-suite bathrooms. 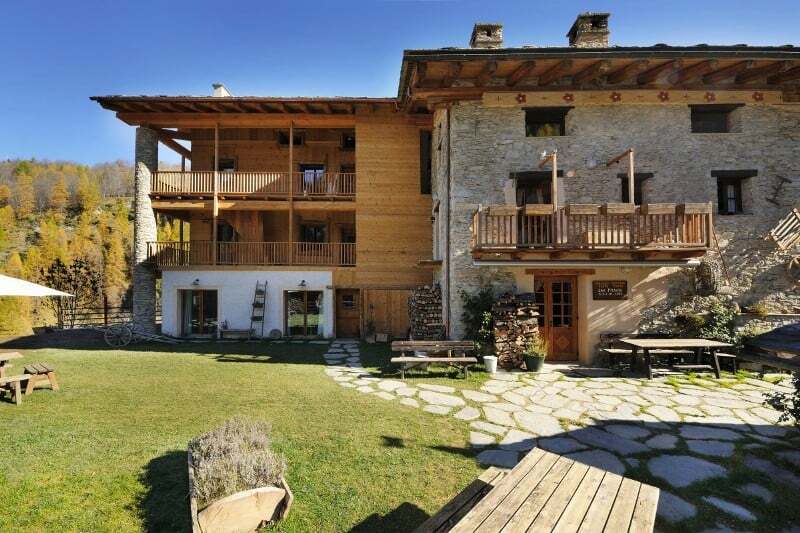 You can expect a warm welcome from your hosts after a day spent out exploring the beautiful alpine scenery, as well as useful information on the local area. A generous breakfast is served each morning, and you’ll leave each day with a packed lunch prepared by your hosts with a dinner (made with local specialties) prepared in the restaurant of the accommodation you stay in each night. Days: 6 (7 nights) | Distance: 43-49 mi | Difficulty: Moderate to Challenging| Comfort: 2.5/4 | Price: from £1,025p.p. 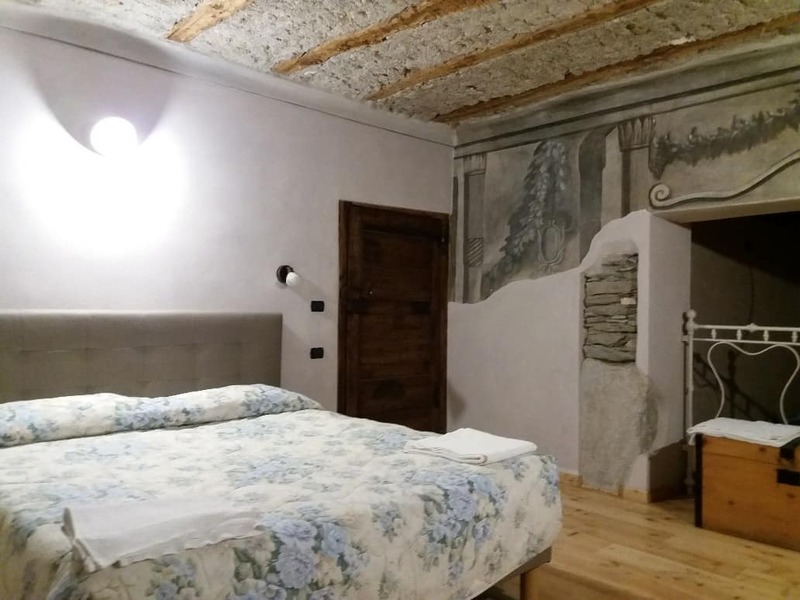 Your destination for the start of your journey is the delightful commune of San Michele di Prazzo, situated in the mountains at an altitude of 1370m. Before your transfer to your first accommodation, you may decide to stay a while and observe the beautifully painted parish church. Your hosts will warmly welcome you in later that evening, where a delicious dinner will be waiting for you. Today you have two itineraries to choose from. 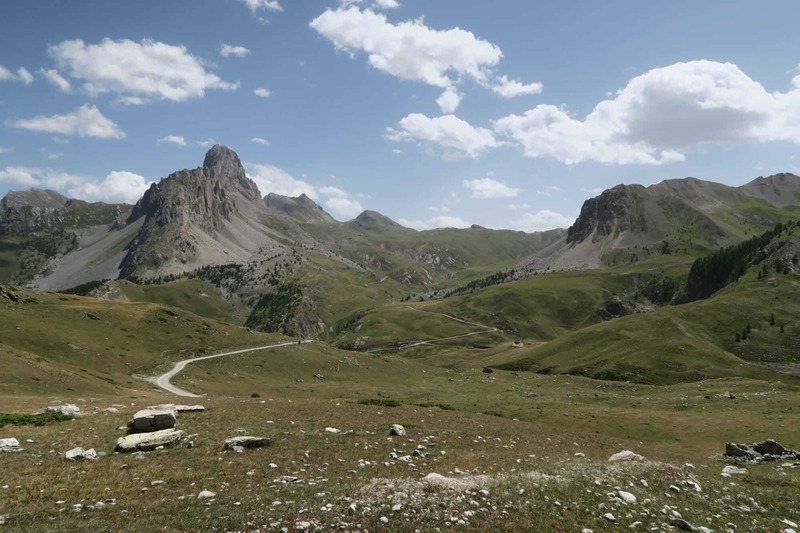 Walk A: Lou Viol Dal Genesté Michele Round Walk | 6.2 miles/10km |↑564 ↓592 | 4 hours This circular route winds around the southern slopes above San Michele, following a section from the ‘Lou Viol Dal Genesté’. 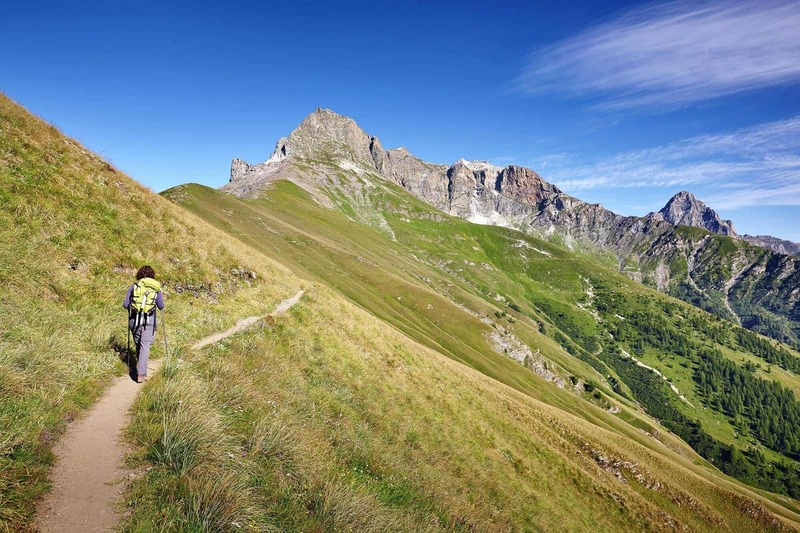 Walkers can expect a profusion of nature and a bucolic alpine landscape of forests, grassland and rocky crags. 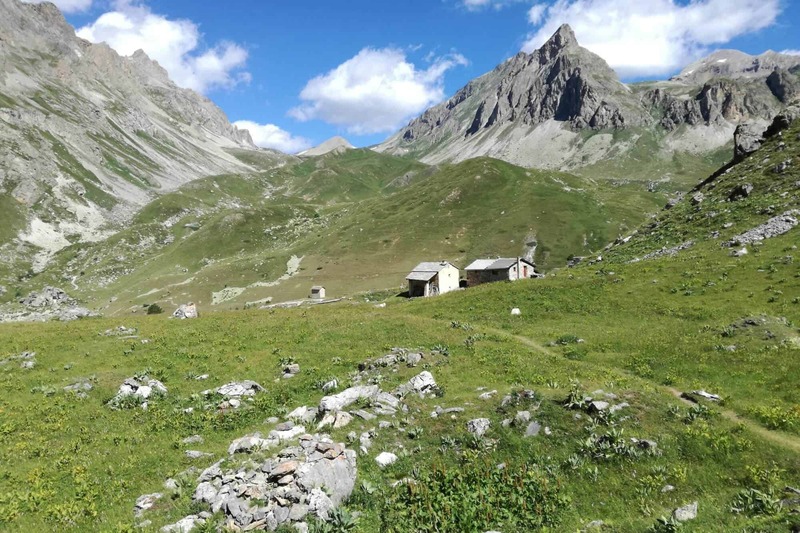 Walks B: Campiglione to San Michele di Prazzo | 8.9 miles/14.4km |↑779 ↓1106 | 5 hours Take a short transfer to the hamlet of Campiglione for a short, but stunningly beautiful route that offers panoramic views over the main peaks of Val Maira, as well as the Monviso, from where the longest river in Italy (the Po) has its source. Here you follow paths and dirt runs to an impressive height (2481m) - giving you an enviable vantage point over the alpine landscape. Today you have two itineraries to choose from. 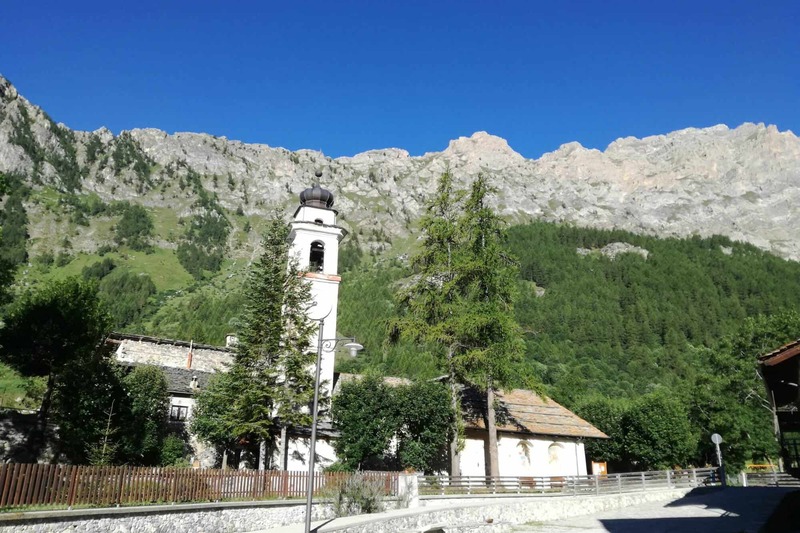 Walk A: Chiappera and Rocca Provenzale Loop | 6.2 miles/10km|↑564 ↓592 | 4 hours Take a short transfer to Chiappera, the last restored village of Val Maira (at an altitude of 1602m), with a small bar, and a beautiful, frescoed church. 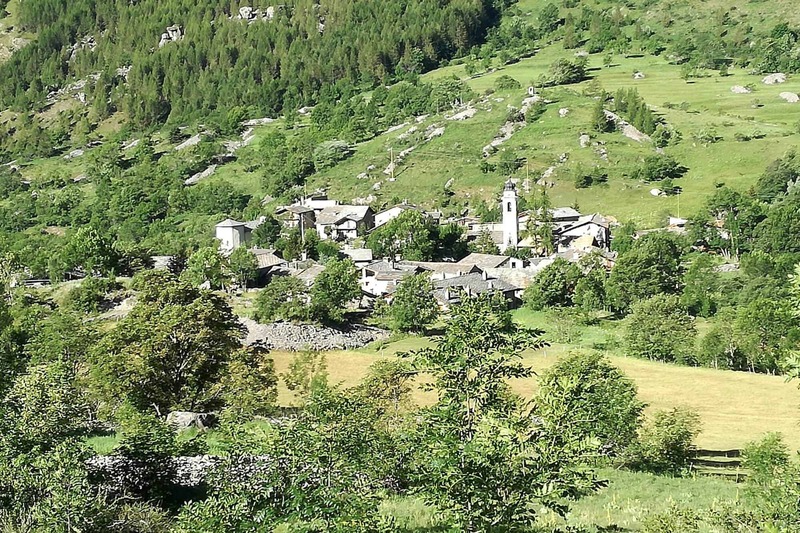 From the village square, your walk takes to the striking Rocca Provenzale, a walk that is initally demanding, but becomes a great deal more leisurely after you pass the Colle Greguri (2309m) where the route leads back to the village of Chiappera where your transfer is waiting to take you back to your accommodation. Walk B: Ponte Maira to Chiappera Circular | 6.5 miles/10.5km |↑489 ↓489 | 4 hours This is the easier option, taking to the routes around the village to select viewing points over the valley. 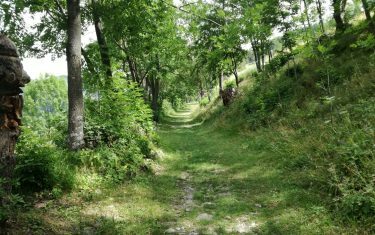 The forested route offers some shade in summer; and a short detour brings you to the Maira springs – a tributary of the great Po river. 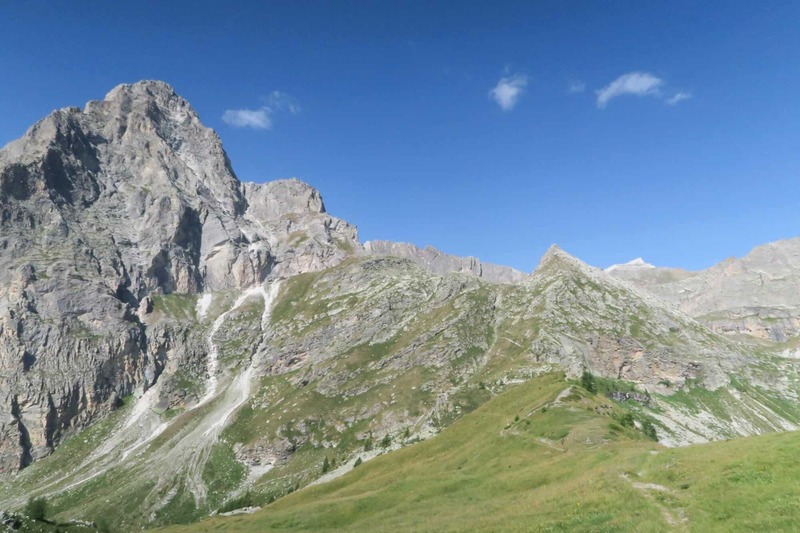 A short transfer takes you to Sorgente Maira for today’s route following the Sentiero Frassati. 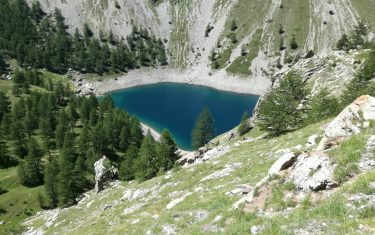 The route skirts the deepest blue water of Lago Apzoi (situated at 2300m altitude), as well as series of bunkers built by Mussolini on the French border. From here it is possible to walk back to Ponte Maira, or you can take a transfer from Sorgenti Maira (not included in price). 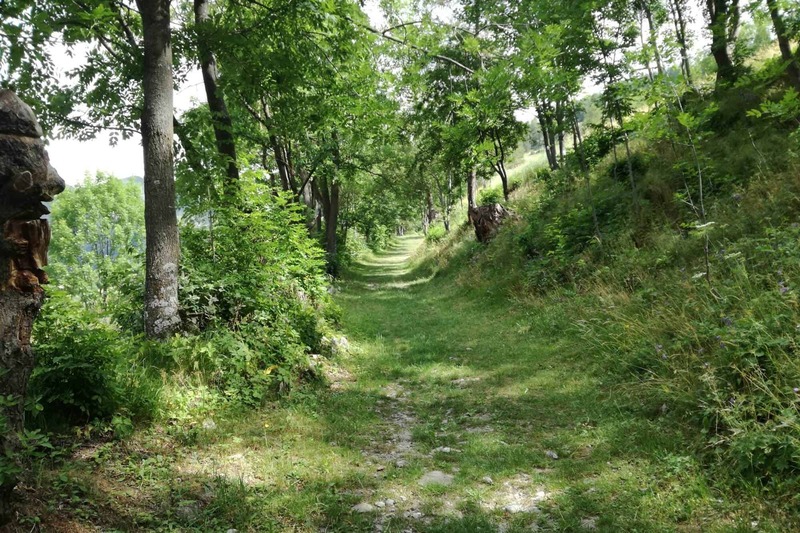 Follow ancient mule tracks and short sections on asphalt for a tour of the hamlets of Marmora. From Vernetti, the bigger hamlet of Marmora, your route winds though a picturesque mountain landscape made up of paths through meadows, forest and field, bypassing eleven of the tiny, antiquated villages of the municipality, most of them inhabited, where you can observe the local artistic masterpieces (by painters such as Giovanni Valeison and Giors Boneto) contained within the traditional architecture of the valley. 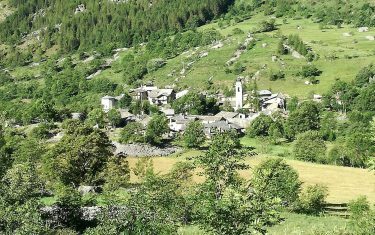 Urzio, San Sebastiano, Tolosano and Reinero are just some of the charming villages encountered via the Marmora route. A descent leading out of Brieis takes you back to the starting point, giving you a fantastic view over the valley of Canosio. 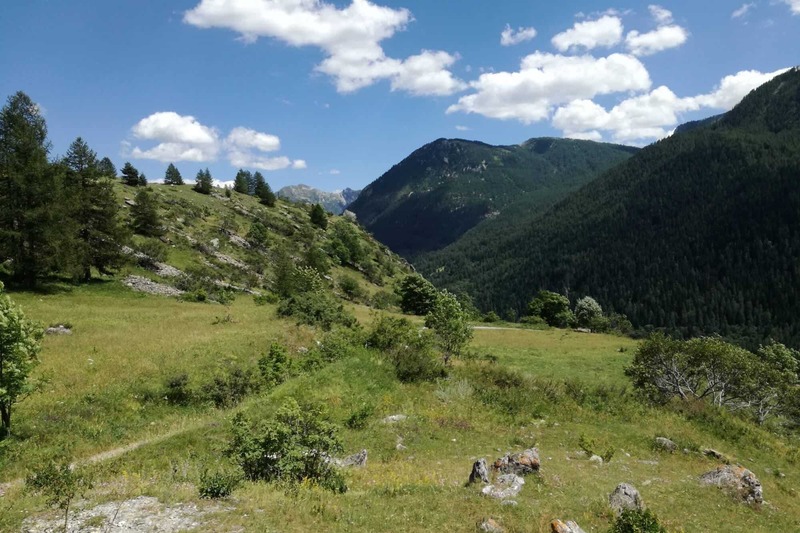 Walk A: Grange Ciampasso and Altopiano della Gardetta Loop | 9.3 miles/15km |↑421 ↓428 | 5 hours Your walk today could be counted among one of the most scenic of the entire trip, in fact, the landscape you encounter today was designated as part of the Italian Geological Heritage in 2001. A short transfer (20 min approx) leads you to the Grange Ciampasso, an old military road formed during the Second World War, where views of the highest peaks and valleys surround you for the duration. Dotted along the way are more relics from the war, with abandoned fortresses used as border defence. 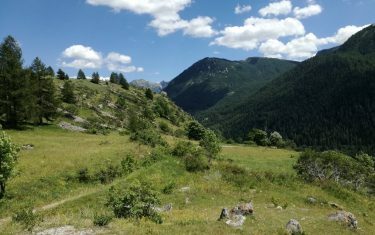 Your route takes you through mountain meadows, covered with a profusion of wildflowers, and keen observers may spot some of the wildlife of the valley. 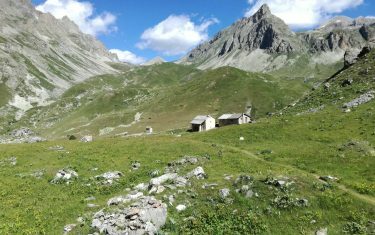 With a short detour you can reach the Rifugio Gardetta (at 2380m), an old military shelter now converted into a mountain hut. 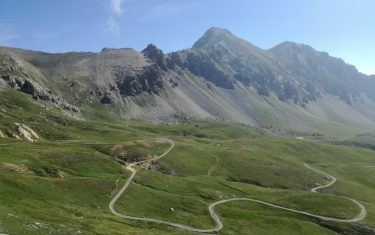 At the end of the circular route, your transfer will be waiting to take you back to Marmora. 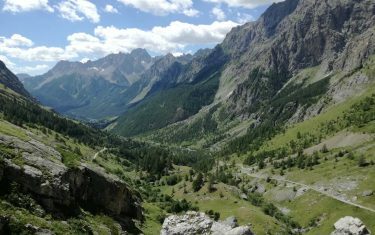 Walk B: Grange Selvest and Lago Nero Loop | 6.2 miles/10km | ↑663 ↓745 | 4 hours Transfer (around 35 minutes) near the hamlet of Preit. 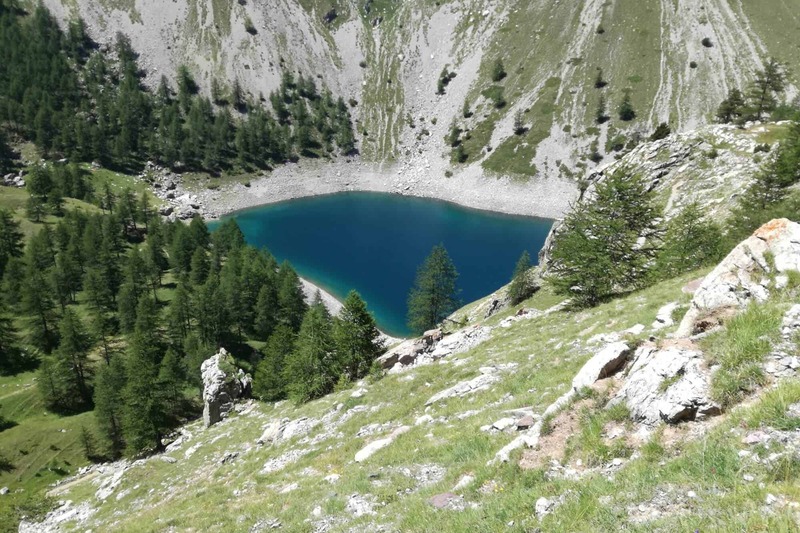 Before you is the Grange Seelvest, from where you can follow the route to one of the most picturesque lakes of the Val Maira, the ‘Black Lake’, set at 2227 metres altitude with panoramic views over Rocca La Meja and the Monviso. 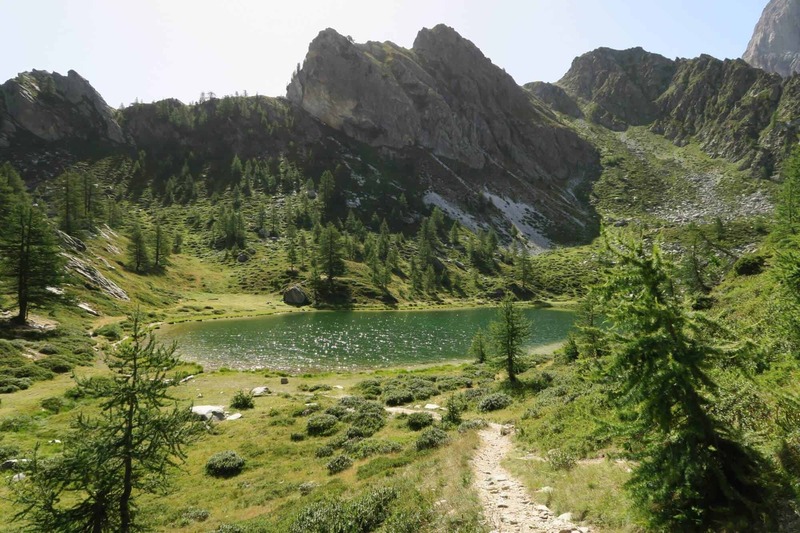 This is a well-marked path that leads you through pastureland bordered by larches, where the descent down from the lake passes by a gravestone laid in honour of the 23 young ‘Alpini’ soldiers tragically lost when an avalanche hit on January 30th, 1937. 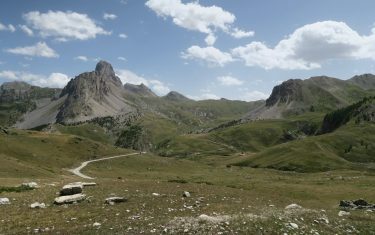 The walk concludes exactly from the same spot you started, where a transfer takes you to your accommodation in Marmora. Transfer to Prazzo bus stop and departure. City taxes (per person) only payable direct to accommodations – The prices below indicate the total to pay per person, rather than per night. Travel to San Michele di Prazzo / from Marmora. accommodation and from your accommodation on departure. The SADEM bus service between the city centre and Turin Airport has several stops enroute including Porta Nuova railway station. A special airport express bus 99 connects both Terminal 1 and Terminal 2 with the station twice per hour in 15 minutes. We would then recommend a taxi transfer from Cuneo to your first accommodation which we would be pleased to pre-book for you. There are only a few direct buses from Cuneo to Prazzo. So you have to take a bus to Dronero (20km) and change here for a bus to Prazzo Inferiore (30km) from where you will be picked up and taken to your first accommodation in San Michele (5km). Transfers available from Cuneo and Dronero.